Today´s post is showing the last Christmas cards for this year. I found a video on YouTube by Shannon Colón, you can find the video here. I used thick whisper white cardstock as the card base. 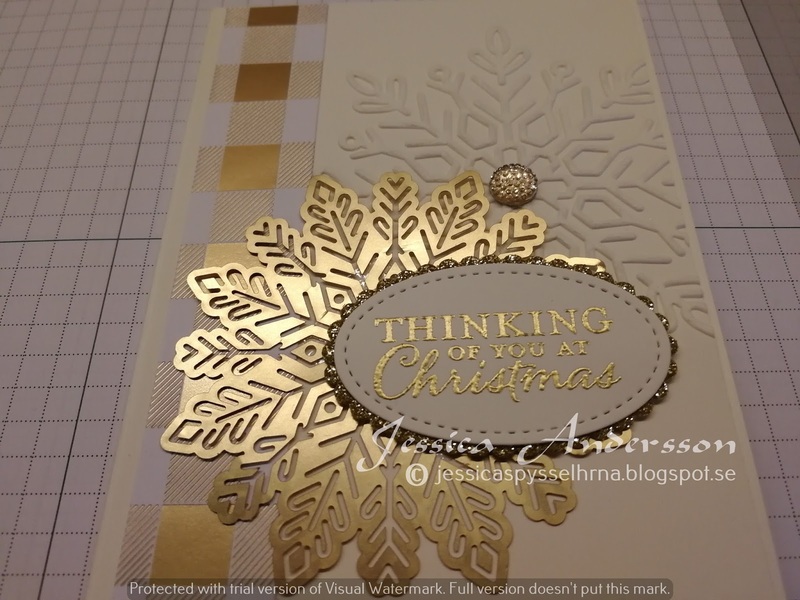 then a layer of regular whisper white, embossed with winter wonder textured embossing folder. 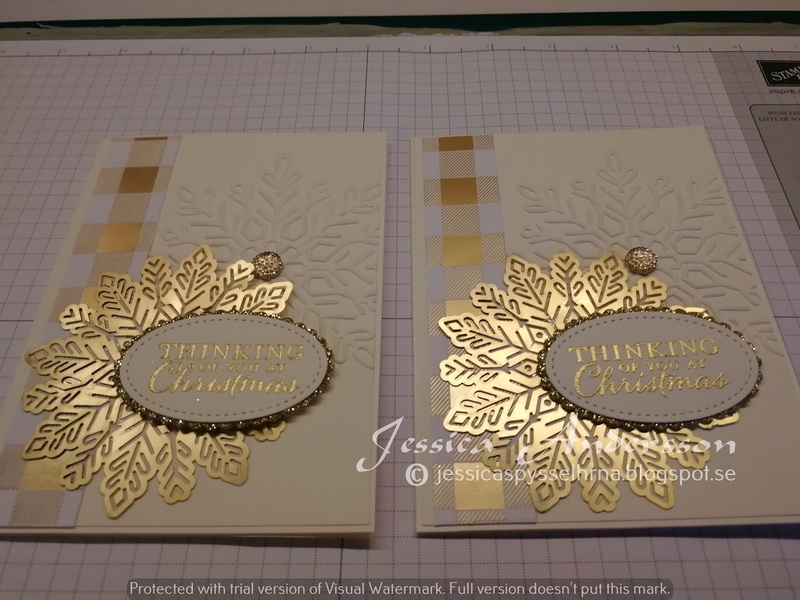 Added som year of cheer DSP and added a gold faceted gem on the embossed snow flake. Then I added a gold foil snowflake. The sentiment is from the stamp set embellished ornaments, cut it out with the stitched oval and layered it on gold glitter paper cut out with oval scalloped.